ITs been three years since I had my HT with Dr. Armani so I thought it was time that I would give you guys an update… The following pics were taken with no concealers. The pics that I have posted in here today were of my hair grown out four weeks after my last hair cut.I cut my hair on a monthly basis now as I like it shorter, and it is easier to care for as I have an active life style. The pics I have in my original journal are of my hair grown out at about 4.5 months. My whole Armani experience has been great. I really can’t Thank Dr. Armani enough for the positive impact he has had on my life. Please feel free to comment on my pics. » my life. Please feel free to comment on my pics. Awesome results, MMAYGUY. So much for rev’s pronouncements that HT can’t produce good results. It seems ol’ rev-boy has his head buried in – well, I’ll just say, the SAND. And before rev asks HairSite to remove my posts or censor me, I should just call HairSite’s attention to all the times that rev attacks me, calls me a “tool”, and other names here… If my posts should be removed, all of those personal attacks by rev against me, AND AGAINST OTHERS, should also be removed. Quid pro quo, what’s fair is fair! So rev, if you go crying like a little baby to HairSite that my posts should be removed or I should be censored, then I guarantee you, I will launch an all-out, no holes barred campaign for fairness, to request that HairSite does the exact same thing to you – not just for the personal attacks you make against me, but each and every time you make a personal attack against another poster here on HairSite. As fckhrls said about you, rev, you cannot control other people’s opinions here, although you have persistently tried to. What you are doing is Orwellian, and shows that you’re an EXTREMELY insecure person. I promise you that you will be opposed and rebuffed every step of the way from now on if you pull any one-sided childish pranks like you have been doing, in a consistent and self-centered pattern, for too long here. Rev would be very happy working for the mullahs in Iran. Now leave me alone, rev, and let me express my opinions in peace! And let others do the same!!! I’d just like to stress that any man getting surgery needs to be on an alpha five reductase inhibitor for one year prior to make sure he isn’t experiencing very negative side effects from them. MMA Guy’s results look nice. He has nice donor hair and a good head shape. I hope he is on, and stays on, finasteride or dutasteride. However, I’d caution any young guy to at least try finasteride for a few months at least to make sure that you are not a guy who experiences a loss of libido or gyno with its usage before getting a HT. You cant afford to keep losing a great deal of hair if you get a HT, because there is only so much donor hair. One needs to be honest with themselves about whether or not they have good donor characteristics when making that decision. Is your donor area pretty large? Do you have “high sides” or unfortunate “low sides” when it comes to your wreath shape? Do you have good donor density? 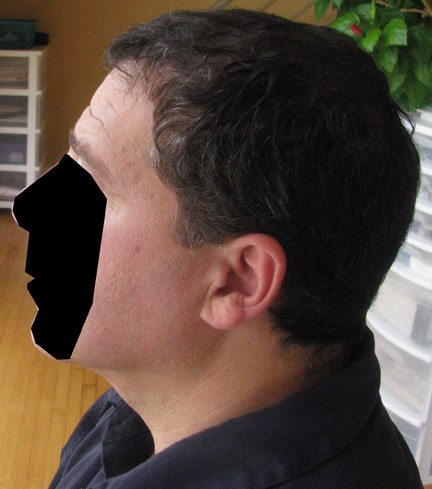 Have you gotten on finasteride early and impeded the progression of your male-pattern-baldness, or have you waited until your crown and front are really going? 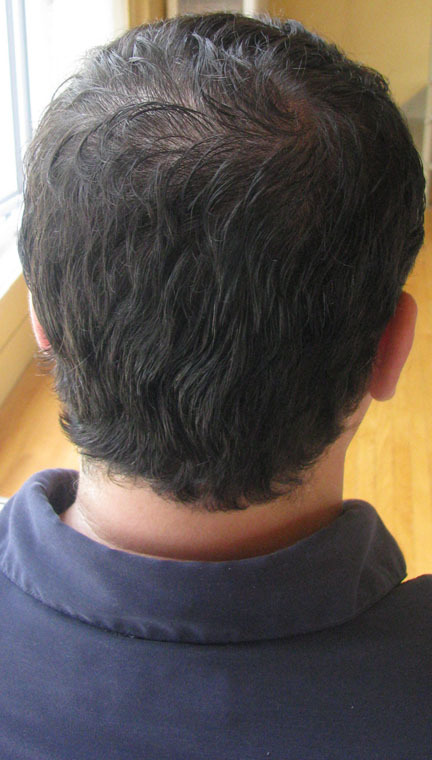 Are you getting unfortunate side-effects with the finasteride? Surgery is something you should decide to do for yourself and you alone. Dont let anyone talk you into it. Research it and think about it. I have a high opinion of Dr. Cole personally, and would recommend talking to him about surgery if thats the route someone wants to take. I’d also keep in mind that a man can get a lesser-aggressive transplant, and then can decide to get a more aggressive transplant later if he wants #more# hair, but is in a bit of a bind if he gets too much hair put up front early and needs it for crown work later. He’d have to have potentially scarring work done to reverse it that is much more difficult for the docs and can alter the skin color. Its best to opt for a mature hairline given the current proven science. I really wish roger_that would refrain from posting in the HM area. 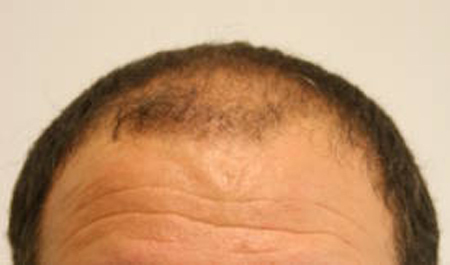 Many of the men who follow HM science have extensive baldness and are not really good candidates for transplantation. They’ve already made this decision for themselves. 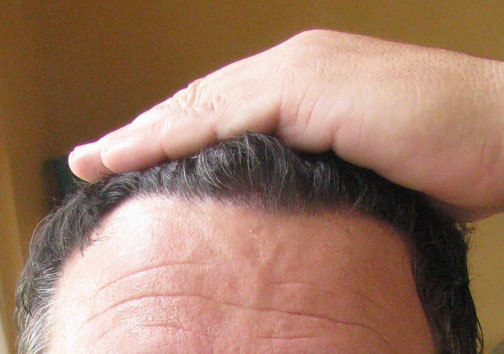 Some of the men have tried finasteride, but unfortunately had rough side effects with it also. Thats why they have placed their hope in “more donor hair” being made via a HM method “someday”. I’m not saying HT will work for everyone. There are obviously a lot of people out there who would be better off shaving their heads than getting HT. And it’s not that I don’t want HM to come on the scene. I’ve followed all this so-called “news” about HM for a few years, and it just seems that one set of exaggerations morphs into another set of exaggerations, that they all become blurred in people’s minds and who knows what’s really going on. First one doctor says he has the answer, and takes advantage of people’s gullibility, then when his claims are disproven, he just disappears into the sunset. And is replaced by another set of snake-oil salesmen, charlatans, etc. Well, in the “Express” newspaper (published by the Washington Post), Monday - Friday every day now for about the past month, there has been an ad touting ARI and their hair cell experiments. They are looking for healthy test subjects, males and females between the ages of 18 and 65, with pronounced thinning on the crown. You cannot be on any chronic medications, and you can’t have been taking a “chronic” medication for hairloss within the past year or so, I think they say. I think I will take them up on this. 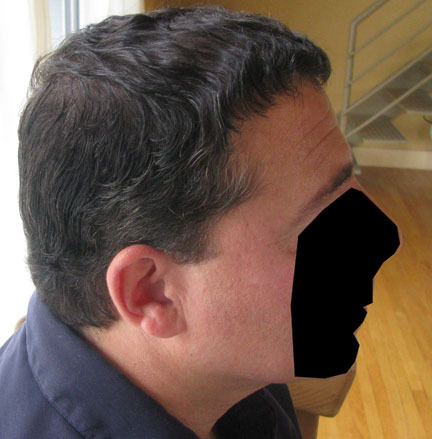 I am about a Norwood “4” or “5” (closer to a “4”, I think)… most of my thinning is in front, at the hairline, but now there is pronounced thinning on the crown. The sides and back are very thick, I think thicker than most peoples – and that is why I am seriously considering a HT. Now, truthfully, I’m very skeptical about this HM stuff. I used to believe that HM was promising, but we’ve seen so many companies and researchers come and go, making claims that they couldn’t prove. I won’t say that ARI is “credible”, but they seem to be the last hope for HM. Either it works or it doesn’t. I respect them because it seems that they are a better financed company, with more reputable scientists associated with their venture, than the usual fly-by-nights and frauds. So, maybe I will give them a chance. Also, I’ve never taken any medications for my hairloss, because I think that they can do more harm to your body than their potential benefits to your hair. Hairloss meds can make you go impotent, grow breasts, etc. Kind of defeats the purpose, eh? But I won’t rule out HT, and I think that if everybody here just rules out HT because they are waiting for HM, well, I would have to say, don’t waste too much of your time. Life is passing you by, and you may be waiting for a hope that will never materialize in our lifetimes. Sorry guys, I accidently put this in here rather than the Hair Transplant forum. Still looking amazing three years out. You had a great transformation. Nice to see someone sticking around years after their procedure to update everyone. Is it just me? for the life of me I couldn’t figure out how everyone is saying that this is good result not knowing how many grafts? It seems like anyone can put a couple of pictures in the hiar transplant board and everybody would go ooh, ahh unconditionally. » everybody would go ooh, ahh unconditionally. Click on the guy’s journal, it’s all listed there. You said in your journal the meds have stabilized your hair loss, what are you using and how old are you? Very nice coverage and totally natural looking. The HT looks better than ever 3 years down the road. Thanks for sharing your updated photos! » you using and how old are you? I use1.25 mg of Proscar on a daily basis . Minoxidal once a day in the evening. Nizoral shampoo twice a week. » ever 3 years down the road. Thanks for sharing your updated photos! Thank you Jay, I really appreciate your comments. 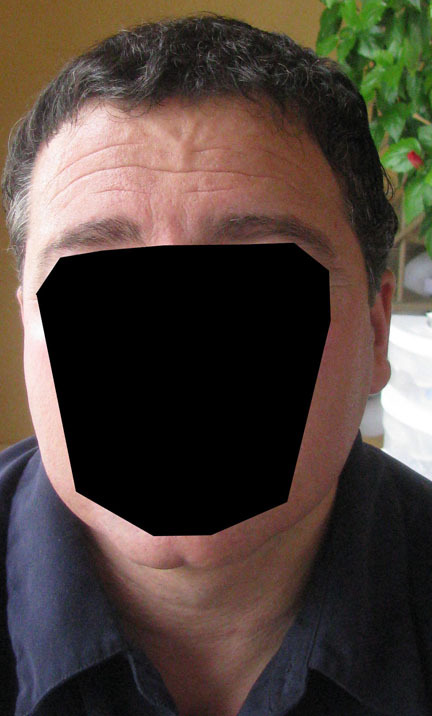 I agree that one should explore topical and internal options at least a year before getting a hair transplant. But you most certainly need not limit yourself to just DHT-inhibiting pharmaceuticals. C’mon benji, you should know better than that. » well, I’ll just say, the SAND. You look completely different and look like you are on cloud 9.
very nice pictures. I think, the best results as possible. I take also 1/4 Proscar since 2004 and minoxidil and can also say, it has stabilized my hairloss. In June 2009, I have been to Toronto, Armani clinic for the 4th time, to improve my crown. Now I am waiting for the transplanted hair to come.